Scientists have discovered a long-lost ancient continent located deep beneath the Indian Ocean. Scientists say: It’s only now as we explore more of the deep oceans that we’re finding all these bits of ancient continents around the place. An ancient continent that was once located between India and Madagascar has recently been found scattered on the bottom of the Indian Ocean. According to experts, three billion years ago, a continent covered the ocean where the East African island of Mauritius now lies, according to a new study. In some of the rocks of the island of Mauritius, home of the Republic of the same name, you can find small fragments of minerals that are about 3,000 million years old. This would not have to be important, were it not because of the young island, of volcanic origin, is barely seven to ten million years old. So where did these pieces of rock come from, and how is it possible that they are so old? The answer is simple. Their origin lies in a “lost continent” located under the island, as researchers from the University Witwatersrand (South Africa) explained in a statement. According to scientists, the crystals were ‘transported’ to the surface by volcanic activity, carried by lava. In order to obtain the age of the crystals, scientists used an imaging technique called mass spectrometry. 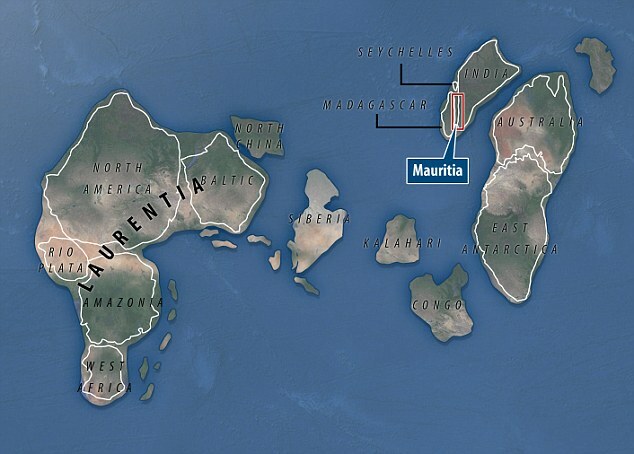 Results showed that there is a continental crust beneath Mauritius, which would have been part of the continent dubbed ‘Mauritia’ which formed part of the ancient nucleus of Madagascar and India. The ancient continent dubbed ‘Mauritia’ once sat between Madagascar and India. “Our results demonstrate the existence of ancient continental crust beneath Mauritius,” Professor Ashwal wrote in the study published in Nature Communications. Experts warn that the ‘sunken continent’ would have been an extremely dangerous place in the distant past, covered in volcanoes, and experienced regular earthquakes. 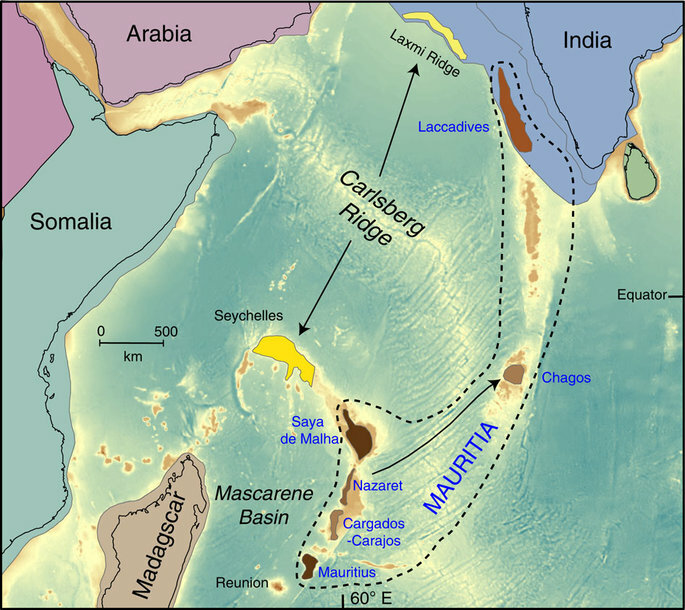 ‘Mauritia acted as a buffer zone between the western Indian subcontinent and eastern Madagascar, and was fragmented by numerous tectonic and volcanic events that occurred in that region since the early Cretaceous,’ the authors said. Back in 2013, scientists already suspected that there was a lost continent located under the island of Mauritius. At that time they discovered the presence of small traces of ancient minerals in the sand of the beaches. However this time it is different. On this occasion, they have detected it inside the rocks, so they have been able to rule out that these minerals would have gotten there through the wind. This is how they have concluded that there is a very old continental crust located under Mauritius that was later covered by lava during the process of formation of the archipelago of the Mascarene Islands, including Mauritius. Scientists indicate that this sunken landmass was part of the supercontinent of Gondwana. At least until about 200 million years ago this colossal formation began to separate into smaller portions as a result of the geological process of plate tectonics. Location of possible continental fragments in the Indian Ocean. Eventually, the supercontinent split up into what are now the continents of Africa, South America, Antarctica, India, and Australia. Continents ride on the plates that make up the ocean floor, which causes the movement of the continents. Interestingly, Alan Collins of the University of Adelaide (Australia) explained recently that more and more remnants of other old continents are being uncovered now. Several of them have been found off Western Australia and even underneath Island. Indian Ocean topography showing the location of Mauritius as part of a chain of progressively older volcanoes extending from the presently active hot-spot of Réunion toward the 65-million-year-old Deccan traps of northwest India. Credit: Wits University.